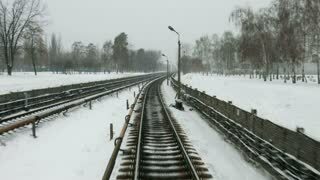 Railway in the winter. High-speed train goes in the winter season. Snow flies in the window of the driver. Long track.